Lauren Heinz is an editor, curator and researcher with nearly a decade of experience in the UK photography industry. She served as senior editor for the British Journal of Photography and as editor and company director of Foto8 for many years. 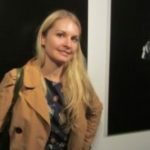 She has guest curated a diverse programme of exhibitions for a range of international photography festivals and has worked with top artists and institutions. Lauren is the former editor of nineteensixtyeight and an external contributor.